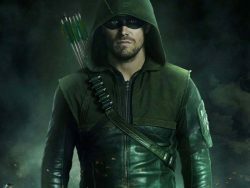 Demonstrating that even superheroes have heroes, Oliver Queen grew up idolising Robin Hood, who’s pretty good as far as role models go (imagine if he’d chosen a pop star). J.R.R. 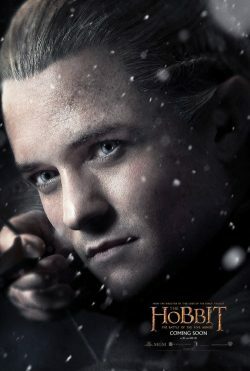 Tolkien first described Legolas as ‘a strange Elf, clad in green and brown’ in The Fellowship of the Ring, but these days he’s more likely to be thought of as ‘Orlando Bloom’, who pierced our hearts with joy when he first appeared on-screen in 2001. Whether he’s strange or Bloomin’ hot, or a bit of both, Leglos is an unstoppable fighter and undoubtedly the most skilled bow user in the history of Middle-earth. She’s Disney’s first Scottish princess – and our favourite one ever thanks to her fierce independence and refusal to conform to stereotypes. While her parents want her to become a proper royal lady, Princess Merida is much happier perfecting archery, which comes in pretty handy when a beastly curse is cast and she has to rely on her trusty bow and arrow to save the day. 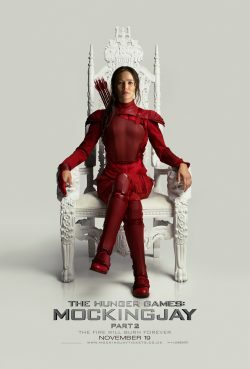 Unlike Arrow’s Oliver Queen, Katniss Everdeen, the protagonist of the Hunger Games trilogy, wasn’t born into riches. Quite the contrary – she only took up archery in the first place to feed her family. However, the 16-year-old’s skill comes in very handy when she volunteers to take her younger sister’s place as a ‘tribute’ in the 74th Hunger Games. It helps that she’s played by Jennifer Lawrence onscreen, but nevertheless, we bow down to this woman. By robbing from the rich and giving to the poor, Robin Hood gained cult status as a heroic re-distributor of wealth. 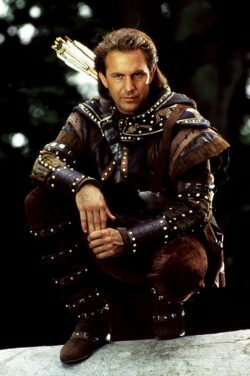 However, the outlaw of Sherwood Forest is just as well known for his impressive archery skill. It certainly caught the eye of fanboy Arrow (not literally). Hood’s legendary status is reflected by the fact he’s been portrayed by endless actors onscreen, with Margot Robbie lined up to star in a female-driven reboot. Hooray. Much like Arrow alter-ego Oliver Queen, Clint Barton lost his parents at a young age. After fleeing his orphanage, he joined a travelling circus where he discovered a natural ability for archery and became a star attraction called ’Hawkseye’. 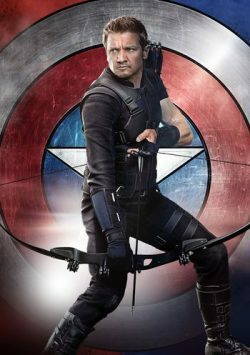 Despite his heroics with a bow and arrow, we liked it best when he took a successful aim at Black Widow’s heart – in the romantic sense, of course.